At the info session you will learn about the program options, time commitment, enrollment process, and just how much someone Little needs someone Big. The first 30 minutes will be an introduction to our program and the last hour will be a more in depth look at the youth we serve and training. Both parts are a required to become a Big. 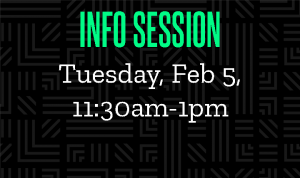 This info session will be held at the Big Brothers Big Sisters office at 203 Cooper Ave N in Saint Cloud on Tuesday, February 5th from 11:30 am-1:00 pm.